Don't say it with flowers—or worse, ethically murky precious gems. 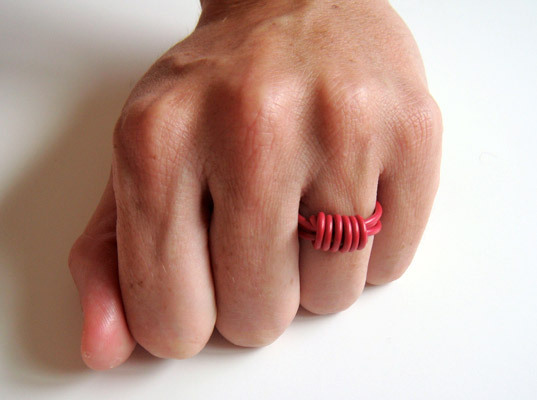 Put a ring on it with a do-it-yourself doodad made from reclaimed electrical wire. (There's no better way to convey how much someone sparks up your life.) Click through our slideshow for a blow-by-blow account on how to whip up one of your very own, courtesy of our friends at Grain. All thumbs? 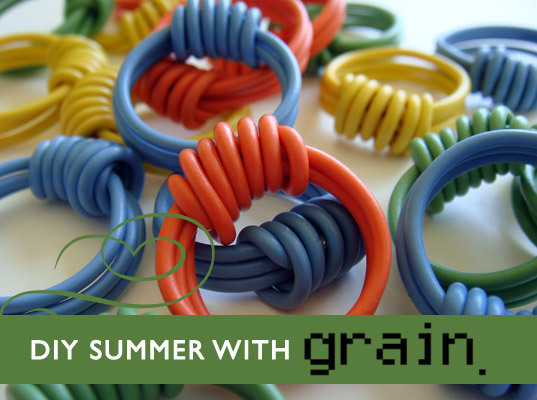 You can snag one, ready-assembled, at Grain's online storefront for just $19. We promise we won't tell. Ring mandrel (shown) or dowel, carrot, thumb, etc. 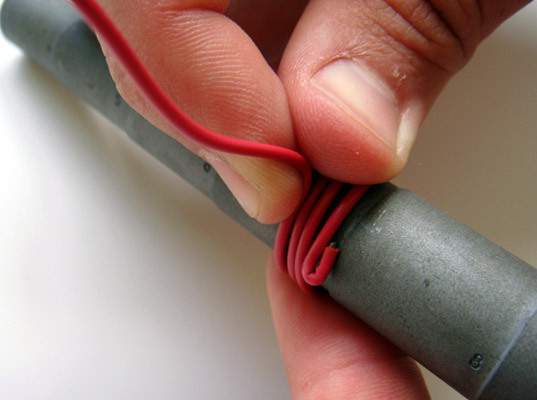 If it comes wound with other wires (as shown), carefully split out the color you’re after. You’ll need about 19 inches (50 cm) for the ring. 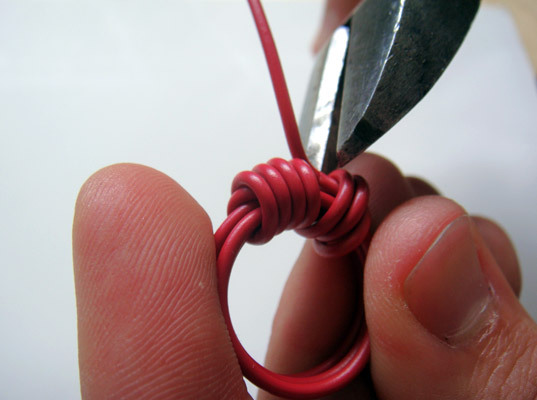 Start your ring by twisting a tight hook on the very end of the wire. 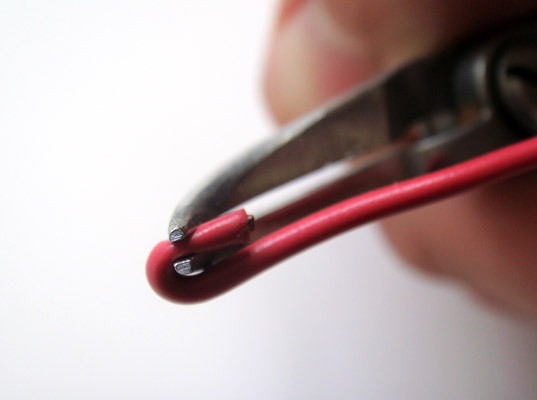 Make it as small as you can, then clench it flat with the pliers. 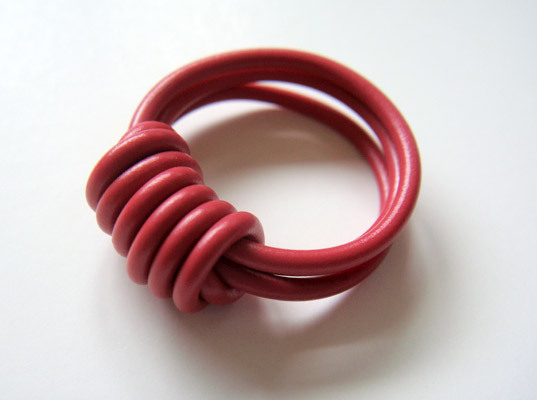 the finished ring from coming undone. Locate your ring mandrel (or other sizing device mentioned above). 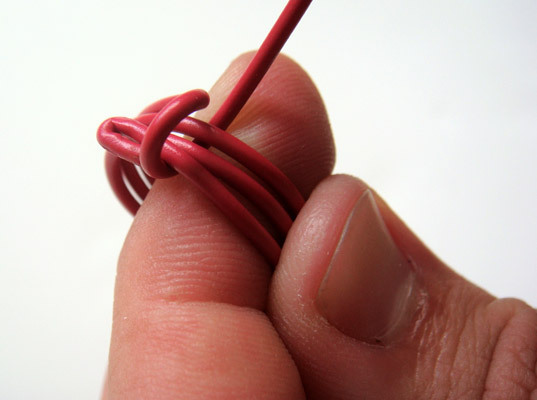 Hold the hook down against the mandrel with your thumb and begin to wrap the wire around the mandrel. This step will determine the final size of your ring, so wrap it tight. Three full wraps around the mandrel should do it. 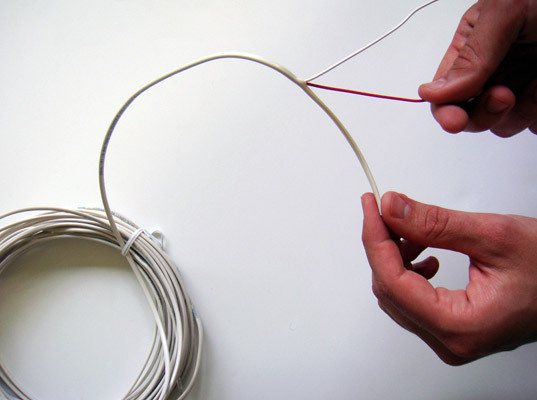 On your last time around, go past the hook a touch, then bend the remaining wire up at 90 degrees (shown). 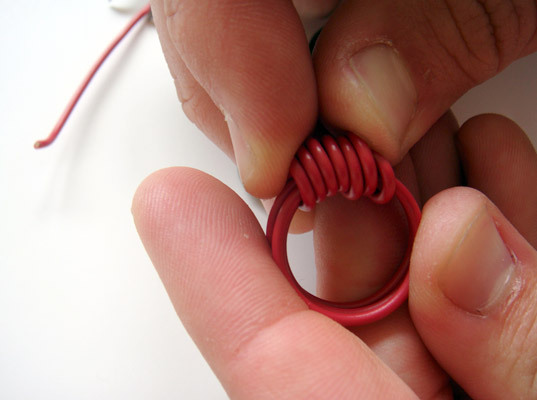 Slide the ring off the mandrel and begin the top wrap by bringing the free wire over the top and through the ring. Pull. 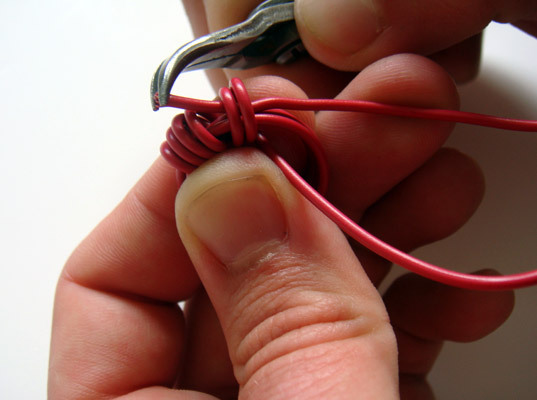 Be sure to place the first loop before the hook to keep the ring secure, and make it tight so the hook won’t come out. 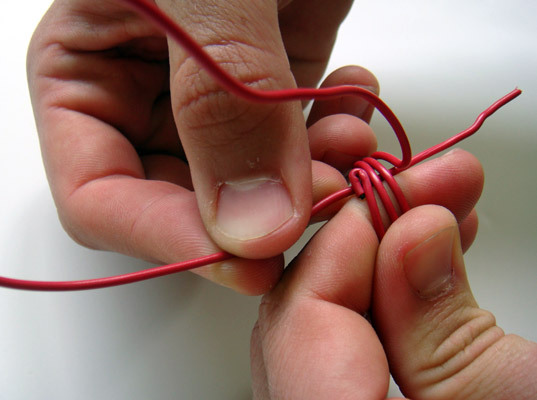 Then, make a few more loops sending the wire over the hook and through the ring in the same manner. 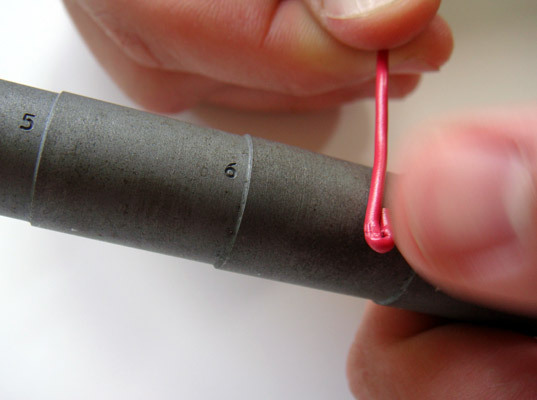 Keep wrapping tightly until you’ve covered the hook, then do two or three more wraps beyond the hook but keep the loop diameter the same (shown). This will allow some space underneath the loops to tie off the end of the wire. 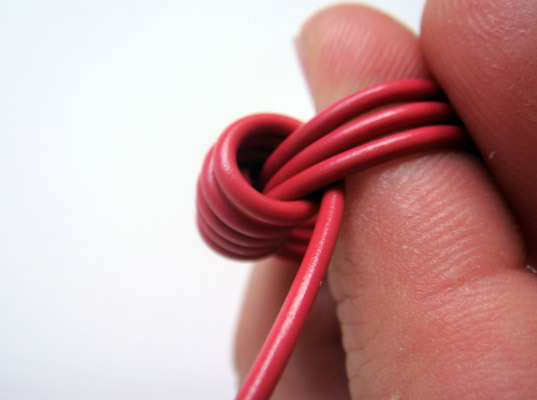 Bring the wire around and poke it back through the loops from step 7. Pull it tight so it feels secure under the loops. Snip of the excess wire as short as you can manage. The loops probably separated a bit during this process so tuck in the loose end and mash everything back into shape. Voilà! The finished ring, which can also be purchased from Grain’s online store, ready-made, for $19. Please tell me what gauge of wire it is, becaussse I have some but is very difficult to manipulate. Find some wire in a color you like. 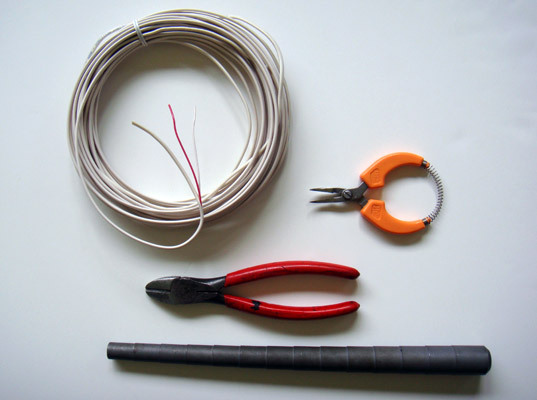 The best wire for this project will have a solid core (it holds its shape better than braided wire) and a thin plastic coating. If you left a long tail, snip it down close to the bend with the wire cutters. This step shall henceforth be known as the “hook” and will prevent the finished ring from coming undone. The finished ring, which can also be purchased from Grain's online store, ready-made, for $19.